Wall Street Journal: U.S. will launch limited strike to “deter and degrade” Assad's army, but won't change power balance. Prime Minister Binyamin Netanyahu Wednesday convened his Security and Diplomacy Cabinet, the government's inner circle for strategic deliberations, as an American strike on Syrian targets drew near. The United States is planning a limited strike in Syria that would “deter and degrade” Bashar al-Assad's military withgout dramatically altering the balance of power between his forces and those of the rebels, the Wall Street Journal reported Tuesday, citing senior defense officials. 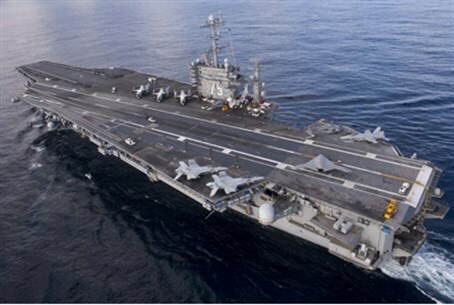 The weapon of choice, hints the article, would probably be Tomahawk cruise missiles fired from the U.S. destroyers currently in the Mediterranean, which would be aimed at Syrian military targets and other regime targets. Chemical-weapons supplies are not on the list of targets because of the potential for widespread collateral damage, the officials said. Two weeks after al Qaeda bombs caused massive carnnage at U.S. embassies in Kenya and Tanzania in 1998 – killing more than 200 people, including 12 Americans – Clinton ordered cruise missile strikes on al Qaeda training bases in Afghanistan and a factory in Sudan. These limited attacks later came under criticism for sending the wrong message to Al Qaeda, which was emboldened and proceeded to carry out the catastrophic 2001 9/11 attack just three years later. In Operation Desert Fox, U.S. and British forces used cruise missiles and aircraft in a major four-day bombing campaign with an aim to degrade Iraq's then-President Saddam Hussein's ability to make chemical and biological weapons. The December 1998 campaign came in response to Iraq's failure to comply with United Nations Security Council resolutions as well as their interference with United Nations Special Commission inspectors. Its stated goal was to strike military and security targets in Iraq that contribute to Iraq's ability to produce, store, maintain and deliver weapons of mass destruction. CNN delivered a similar message to its readers, quoting a senior Administration official who said the strike would be limited in time, and no more than "a quick response to the use of chemical weapons." "Factors weighing into the timing of any action include a desire to get it done before the president leaves for Russia next week and before the administration has to make a decision on whether to suspend aid to Egypt because of the ongoing political turmoil there," the official explained. Saudi Foreign Minister Saud al-Faisal called on the International Community on Tuesday to take “decisive and serious” position against the regime of Syrian President Bashar al-Assad. “The rejection of the Syrian regime of all serious and earnest Arab efforts .... requires a decisive and serious standby the international community to stop the humanitarian tragedy of the Syrian people,” Prince al-Faisal said, according to the state news agency SPA. Meanwhile, the Arab League blamed al-Assad for the chemical weapons attack outside Damascus a week ago, and urged the 15-member U.N. Security Council to take action. The Arab League holds Syria “fully responsible for the ugly crime and demands that all the perpetrators of this heinous crime be presented for international trials,” the statement said. Diplomatic sources told Al Arabiya that the Arab League’s statement had been pushed through by the Gulf states, particularly Saudi Arabia and Qatar, in the knowledge that air strikes were being discussed.